These spectacular pictures are shot by the Expedition 25 crew members aboard the International Space Station flying 220 miles above Earth on Oct. 28. 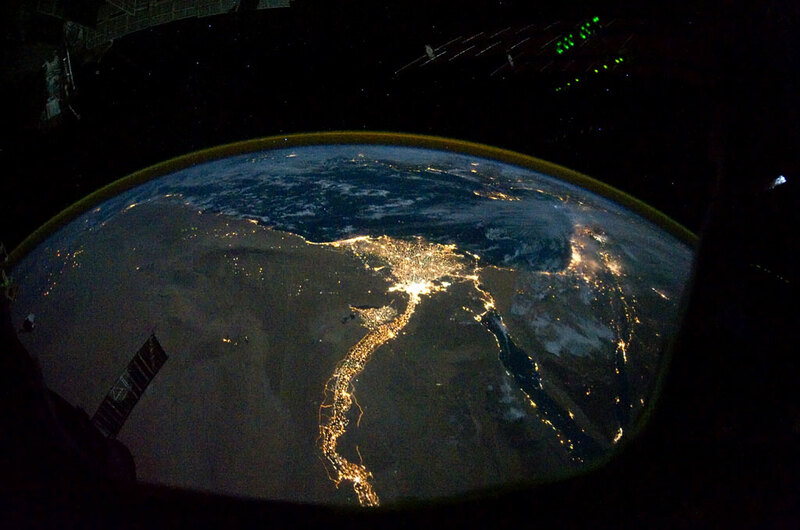 The Expedition 25 astronauts used the ESA-built Cupola observatory module to make these amazing nighttime pictures of planet Earth. 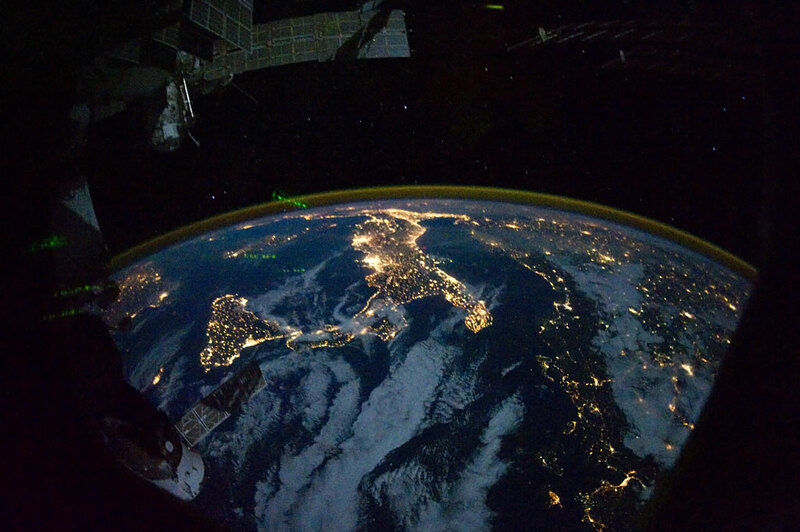 Parts of Europe and Africa are very easily recognizable in this night time image shot by one of the Expedition 25 crew members aboard the International Space Station flying 220 miles above Earth on Oct. 28. The view “looks” northward over Sicily and the “boot” of Italy, with the Mediterranean Sea representing most of the visible water in the view and the Adriatic Sea to the right of center. Tunisia is partially visible at left. Part of a docked Russian spacecraft and other components of the ISS are in the foreground. 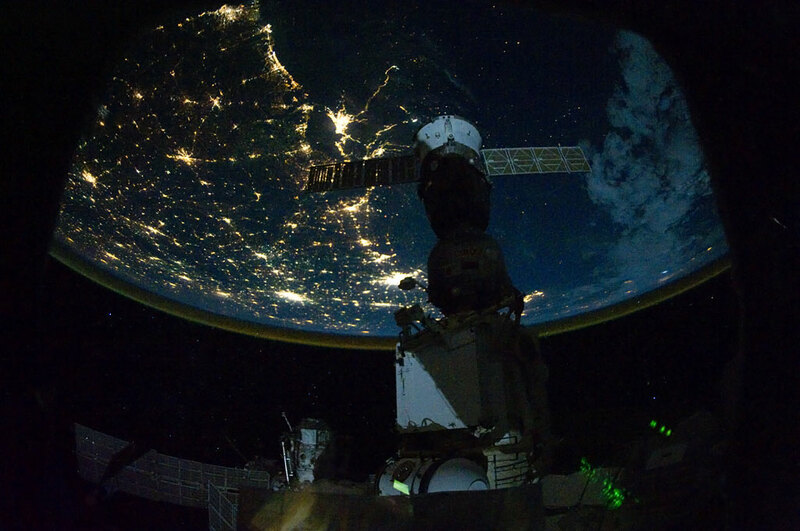 From 220 miles above Earth, one of the Expedition 25 crew members onboard the International Space Station shot this night time image of the northern Gulf coast. Mobile Bay and the city of Mobile (top left, beneath one of the solar panels of a docked Russian Soyuz spacecraft), New Orleans and Houston are visible as the view “moves” southeastward. The Interstate Highway 20 cities of Jackson, Shreveport, Dallas and Fort Worth are also visible further inland. The view extends northward (left) to Little Rock and Oklahoma City.